As the first PlayStation Certified device it is the first device to be compatible with PlayStation Suite, an initiative Sony announced in January as a new way to deliver PlayStation quality games on Android based portable devices, be it mobile phones, smartphones or tablet PCs. Currently, PlayStation Suite content comprises of original PlayStation games and in the future will extend to other content types in order to broaden the PlayStation experience on these devices. 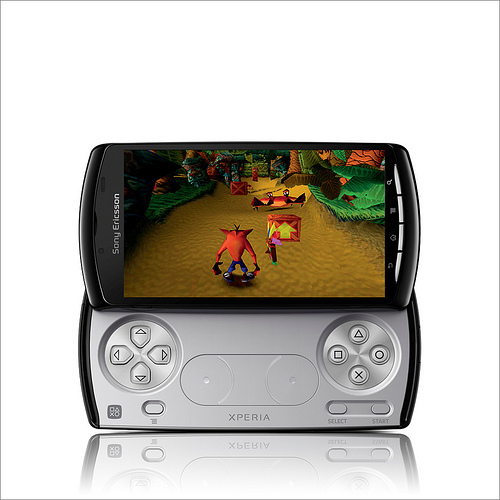 As well as offering access to all the many casual android-based games that are available, Xperia PLAY features a pre-install of the PSOne classic Crash Bandicoot. There are up to a further 5 PlayStation Suite games available to download at launch (Cool Boarders 2, Destruction Derby, Jumping Flash!, MediEvil and Syphon Filter). More will be added on a regular basis. PlayStation Suite is part of Sony’s wider plan to bring the best games experiences to as many portable devices as possible and is a cross-device initiative, since developed content for PlayStation Suite will also be playable on NGP, PlayStation’s Next Generation Portable. NGP will focus on delivering the ultimate portable entertainment and gaming experiences that are only possible using NGP technology, as well as offering the more casual games experiences available through PlayStation Suite.